Making sure that your kids get a good night’s sleep is important. Kids need sleep in order for their brains to develop properly and to process everything that happens to them throughout the day. 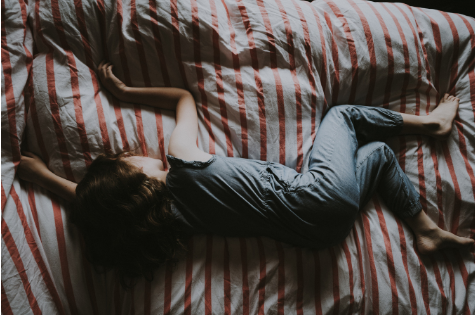 But aside from setting bedtimes, how do you make sure that your kids are going to get a sufficient amount of sleep and that it is quality sleep to boot? Let’s look at five suggestions. There is no better way to make sure that your child is ready for bed and equipped to get a good night’s sleep than to encourage physical activity in the hours before bed. When kids get plenty of exercise outside instead of immediately getting on the computer or playing video games they are physically tired and that results in falling asleep faster and staying asleep at a deeper level throughout the entire night. It doesn’t have to be a lot of exercise, but kids have lots of pent up energy and the more activities you can encourage them to do the easier it will be to ensure a good night’s sleep. Having the right bedding is important. If your kids have quilt covers they love, they will be much more excited about going to bed. A warm bed with the right bedding is a safe place for kids. It is a place that they want to curl up in at the end of the day and stay in throughout the night. Having the right bedding can definitely contribute to that along with having the right bed, the right pillows and even the surrounding decor. The bottom line is that if you make your child’s bed as comfortable for them as possible then you are going to have a much easier time getting them to sleep in it. You definitely want to avoid exposing your children to strong imagery – especially before bed. If they watch a scary movie or a television show with a great deal of violence it could disturb them emotionally, even if they do not necessarily show any outward signs of it. Besides potentially keeping them awake for several hours and promoting anxiety, they could have disturbing dreams that will affect their quality of sleep as well. You should keep devices out of the bedroom whenever possible. This may not always work, because many children like to read in bed and many parents encourage this, but the benefit of removing sources of entertainment and devices from the bedroom is that there are no noises to distract them or keep them from going to sleep, lit phones or computers do not prevent deep sleep and most of all, they are not tempted to watch a video or check their texts which can disrupt the process of falling asleep. Even if your child does keep a Kindle in their bedroom, mobile phones, tablets, laptops and televisions should be left in the family room. Another important part of making sure that your children get a good night sleep is to make sure that you get a good night sleep too. Having a regular bedtime for yourself and not watching television or playing with your phone while you were trying to fall asleep will demonstrate to children that those things are important. Children learn by example, and if the example that you are setting is distracting yourself from falling asleep then it is going to do the same for your children.